Welcome to Coastline Golf Carts. Family owned and operated since 2002. We sell customized, reconditioned and used golf carts and also offer a large inventory of golf cart repair parts and accessories, such as lift kits, custom wheels and tires and custom seats. We have golf cart rentals for up to ten passengers with free local delivery. ﻿Our service department quality and customer service is our top priority. We service most golf cart makes and models, gas golf carts and electric golf carts. ﻿We also have storage for golf carts, boat and RVs year round. 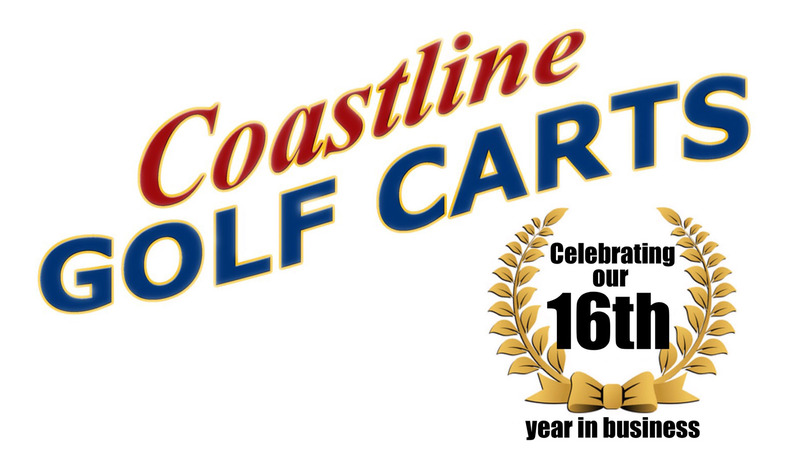 We opened our first location in 2002 in a tiny brick building off highway 58 in Cape Carteret (just over a mile from Emerald Isle, NC) and have been blessed with an abundance of success in helping satisfied golf cart owners and renters every year since. We have moved from our original location to a new, larger location just a few minutes down the street on Highway 24 in Newport, NC. We also opened a second location on Lee Street in Ayden, NC in 2013. Want to know what's on sale? Subscribe here and have deals on golf cart accessories delivered directly to your inbox. Serving Ayden, Winterville, Grifton, Greenville and surrounding areas. Cash, Check, Visa, Mastercard, American Express and Discover cards. We also offer financing options and lay away.